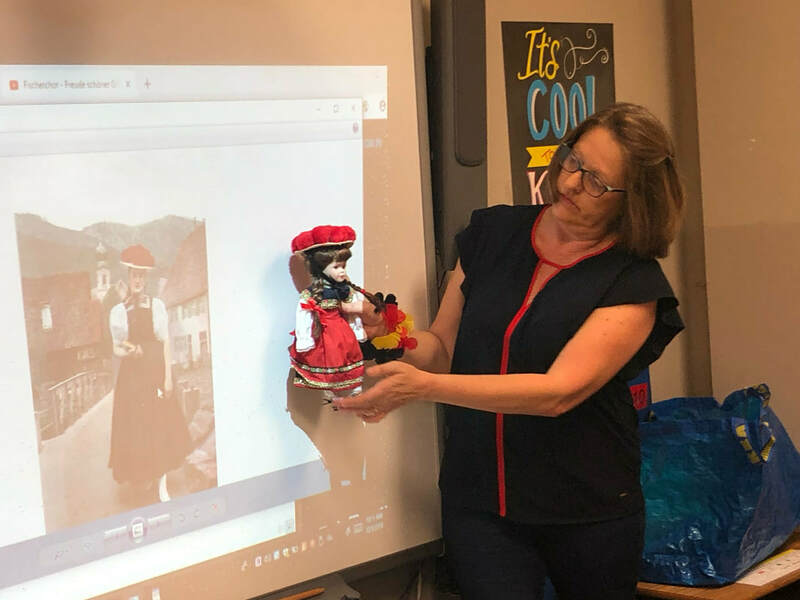 Annette Schavan’s visit in Charlotte was worth a headline in her home town’s news paper. 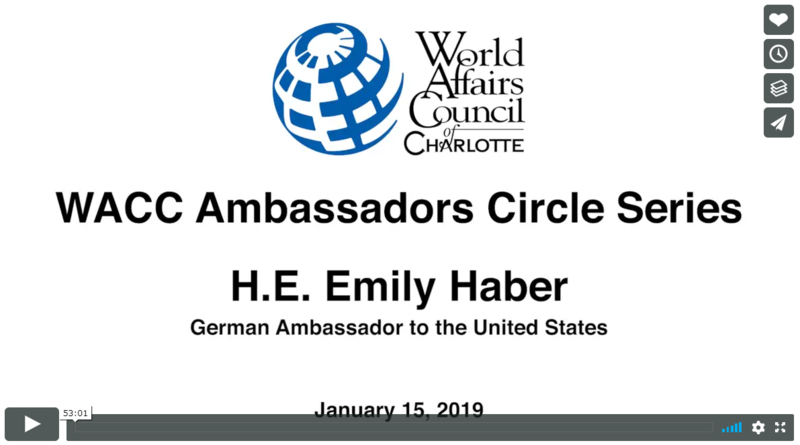 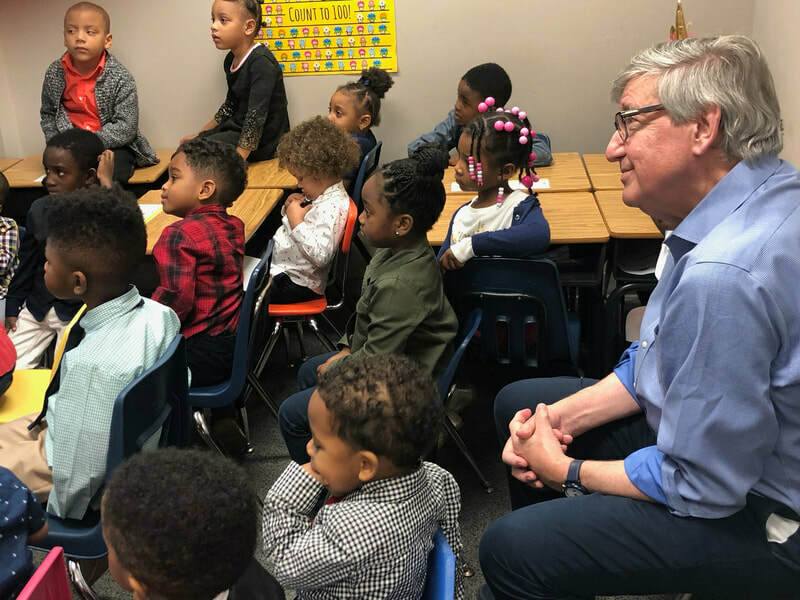 On January 15 and 16, the German Ambassador Emily Haber visited Charlotte. 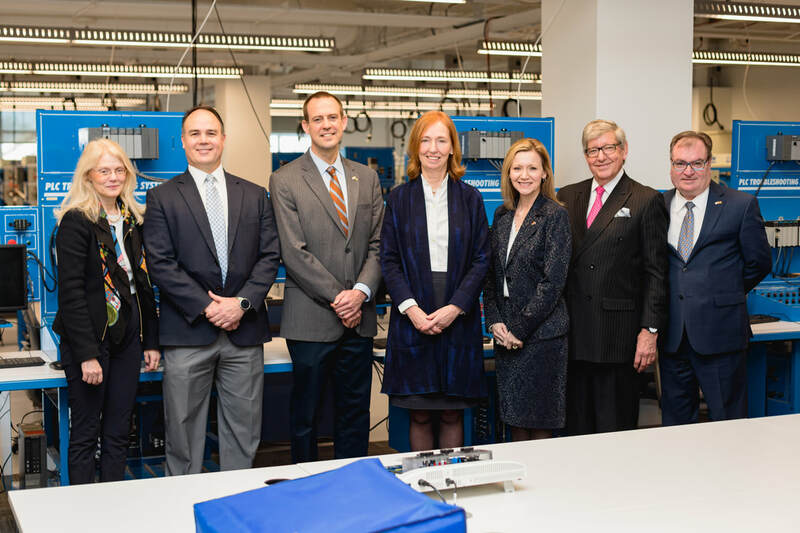 First station was the Government Center where she met with mayor pro term Julie Eiselt. 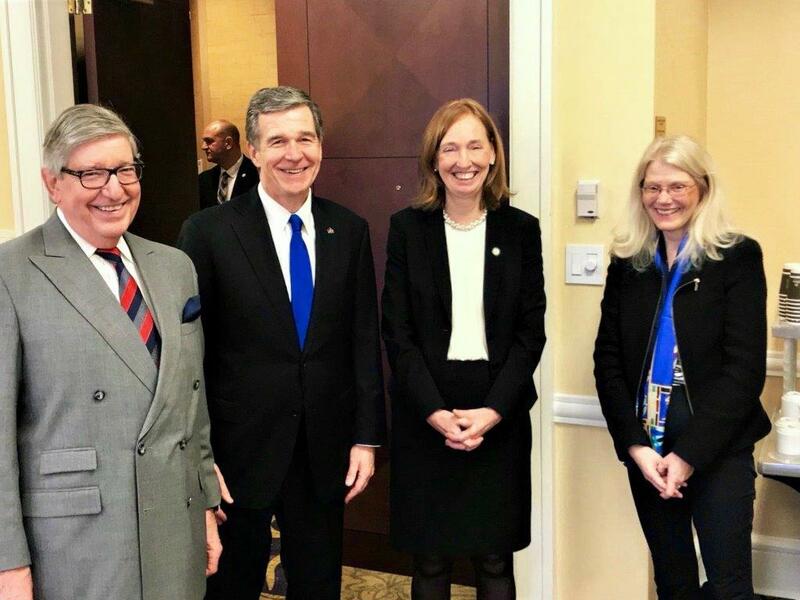 Afterwards, we met with Governor Roy Cooper. 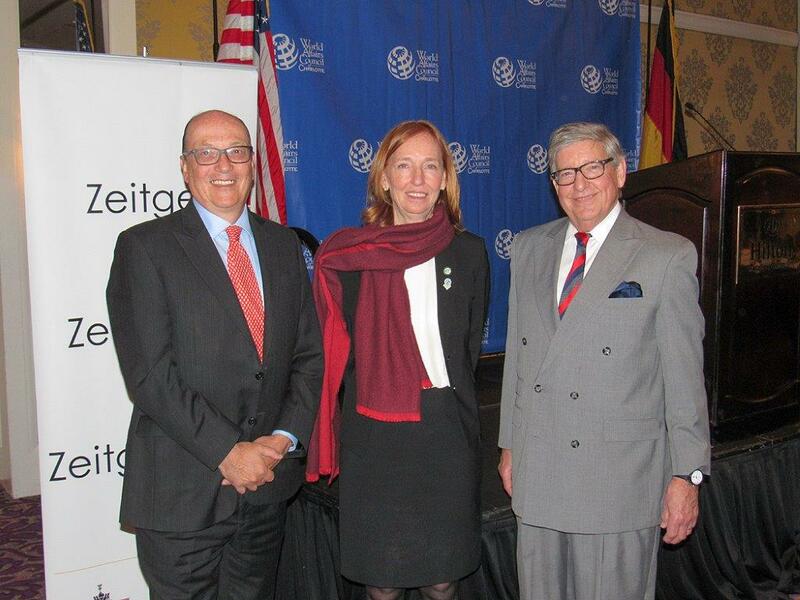 Honorary Consul Klaus Becker introduced Ambassador Haber. 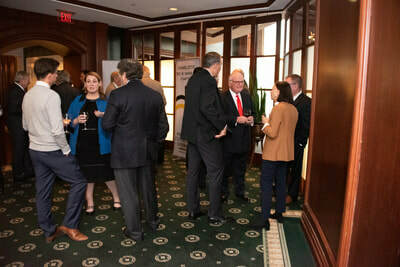 The hole key-note speech can be watched online if you click on this picture. 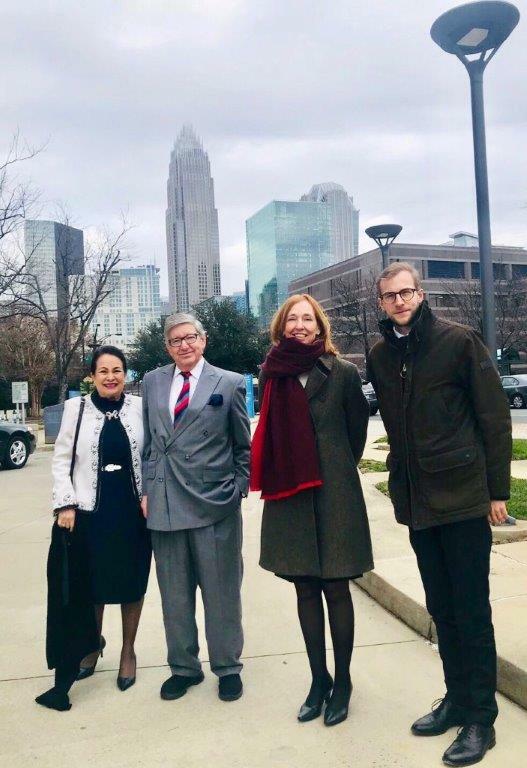 Honorary Consuls of Germany, Hungary and France with Governor Roy Cooper. 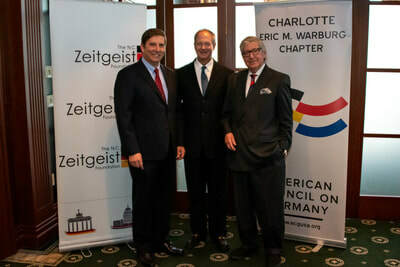 WACC LJ Stambuk posed with the Ambassador and Klaus Becker. 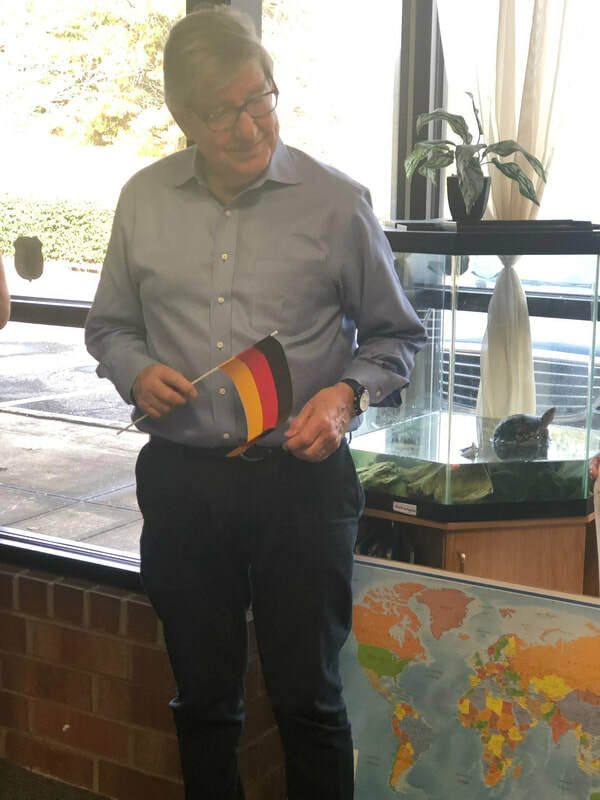 The next morning, the group around Ambasador Haber moved on to Central Piedmoint Community College (CPCC). 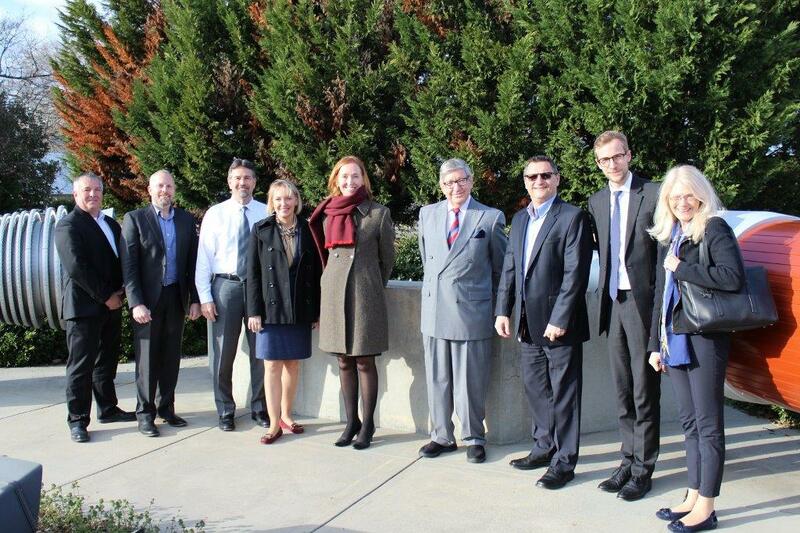 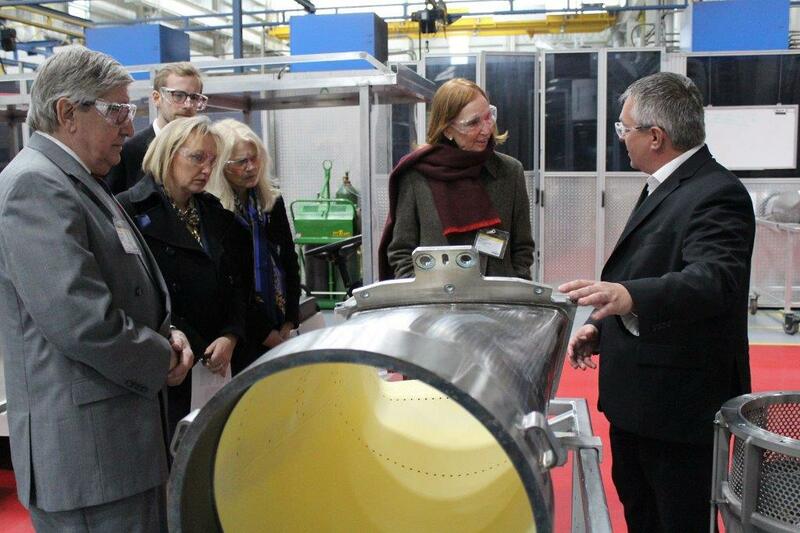 The German Ambassador toured CPCC's Apprenticeship Program. 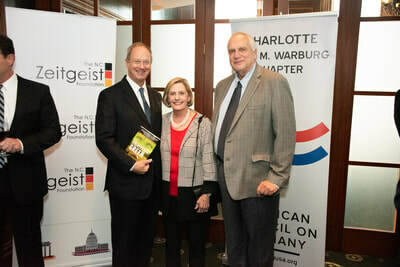 ​Charlotte, October 24, 2018—The N.C. Zeitgeist Foundation co-hosted, together with the American Council on Germany, a dinner reception for John Emerson who served as United States Ambassador to the Federal Republic of Germany from 2013 to 2017. 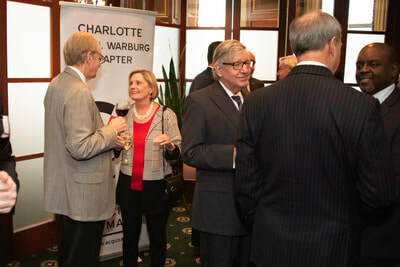 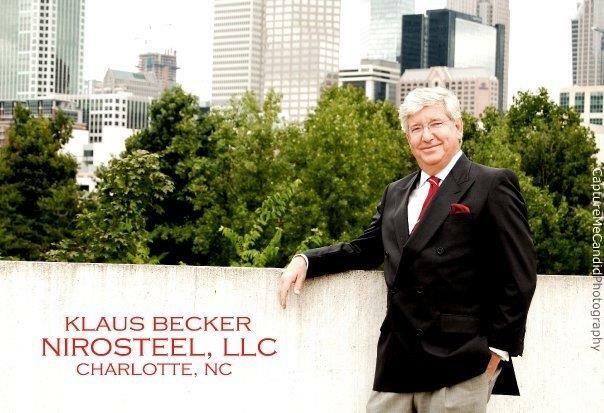 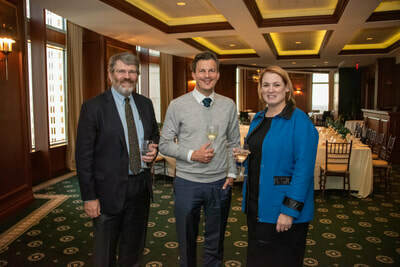 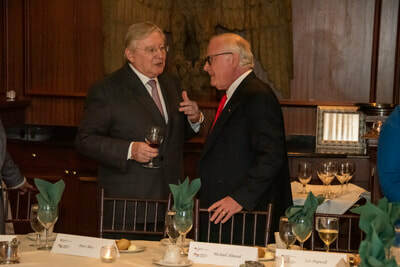 The event at the Charlotte City Club was attended by selected representatives of the city administration and the business community, especially leaders of larger German corporations and German ‘Mittelstand’ companies. 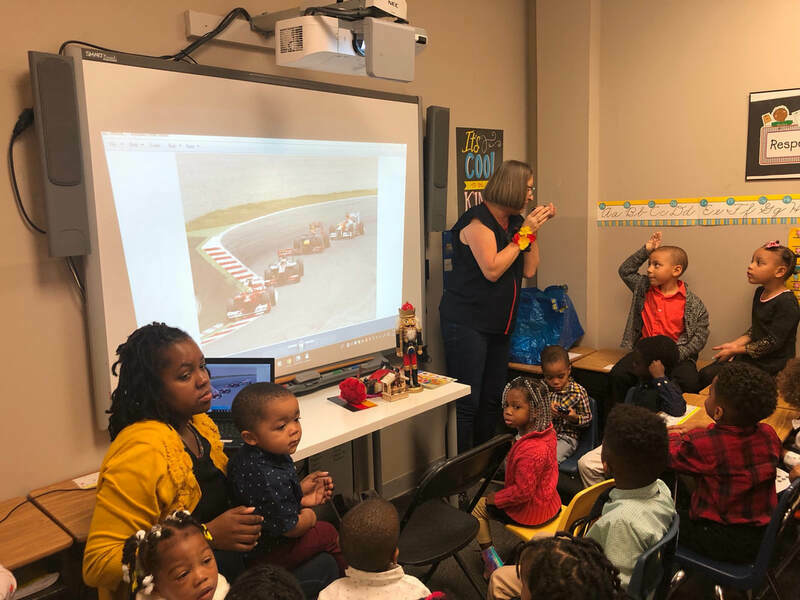 Mayor pro tem Julie Eiselt represented the city of Charlotte. Ambassador Emerson talked about his time as America’s highest ranking diplomat in Berlin under the chancellorship of Angela Merkel, provided his view on the current political climate between the two countries and engaged in an animated conversation on how the civic relations could further be strengthened and reinforced. 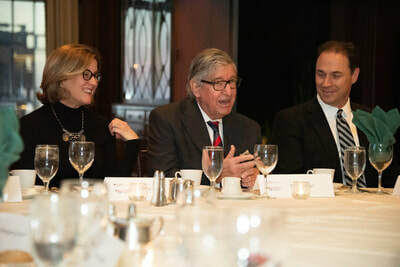 The dinner was generously sponsored by American Emo Trans. 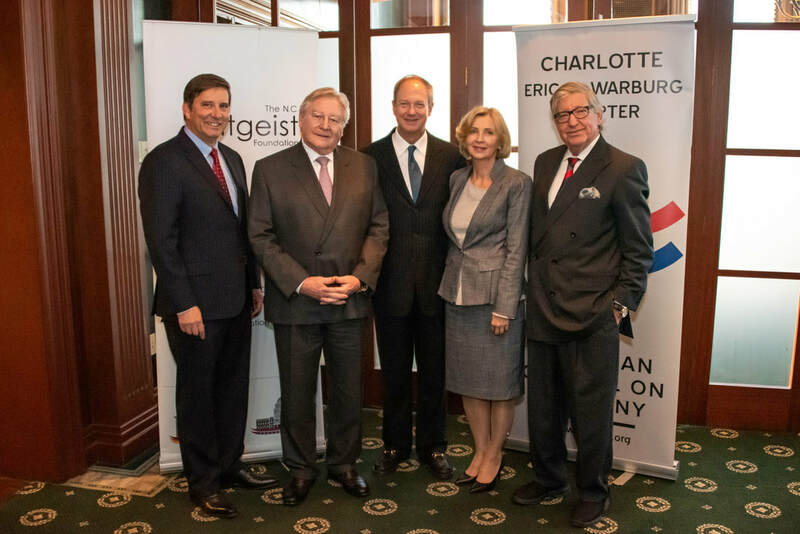 The N.C. Zeitgeist Foundation hosted its 3rd biennial Transatlantic Exhibition of Art in the Southeast at the elegant Elder Gallery of Contemporary Art in Charlotte on October 3 as well as at Appalachian State University in Boone on October 5, 2018. 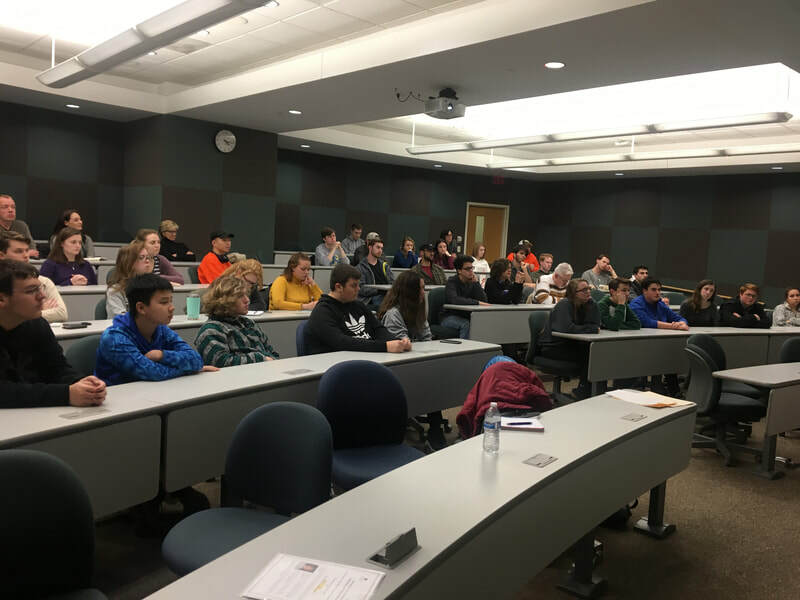 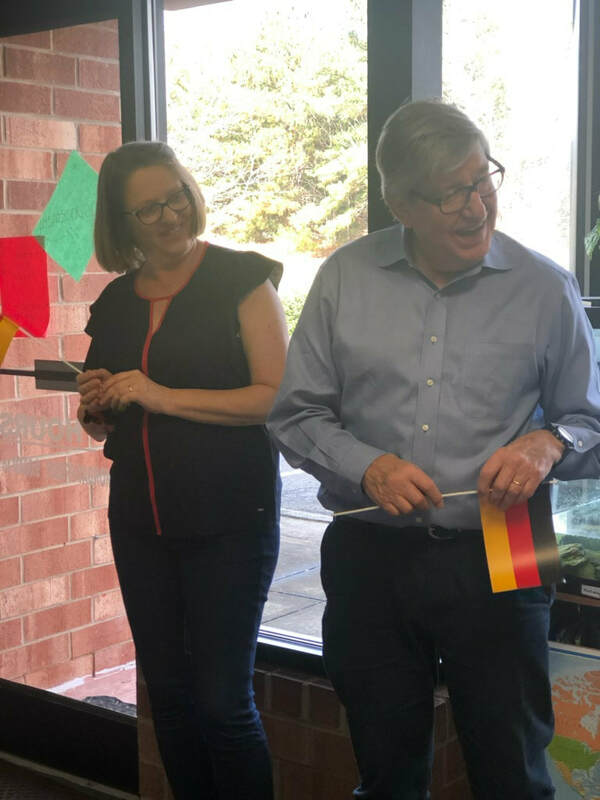 The Foundation’s curator Johanna Steinz worked for the 2018 tour with the German artist Christian Ristau as well as with Charlotte-based artists Regine Bechtler, Terry Thirion and Isaac Payne and, in Boone, also with Christine Perry. 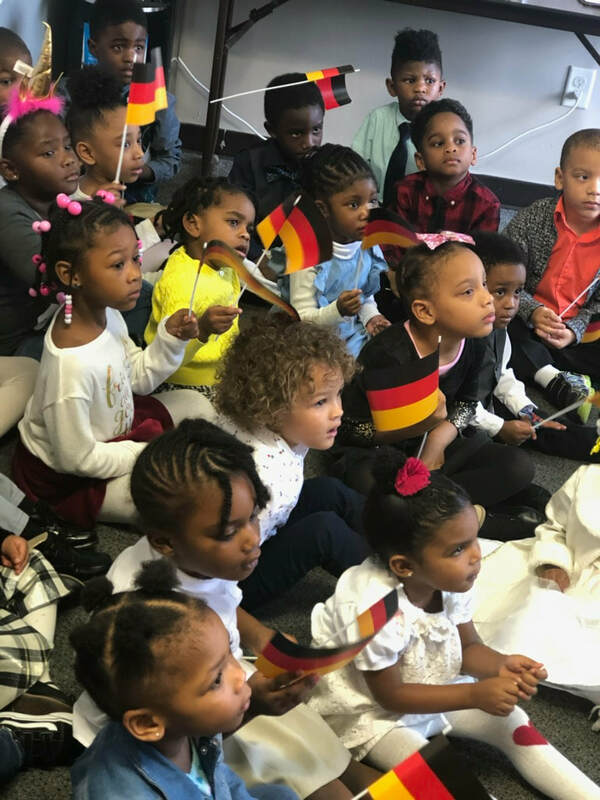 The numerous visitors experienced a wonderfully stimulating and entertaining ambience as the artists personally interacted with them and showcased their refreshing mix of sculpture, painting and open-minded presence. 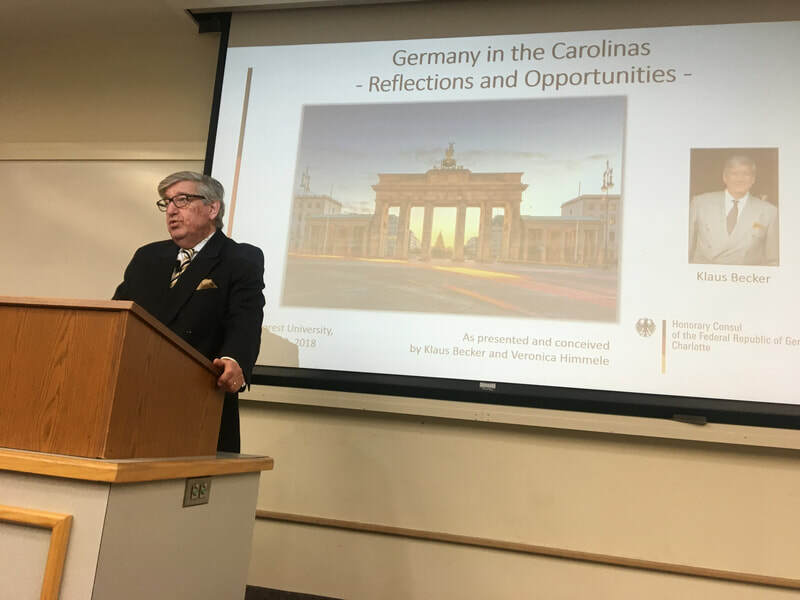 TEASE – Transatlantic Exhibition of Art in the Southeast 2018 was part of the initiative Deutschlandjahr USA. 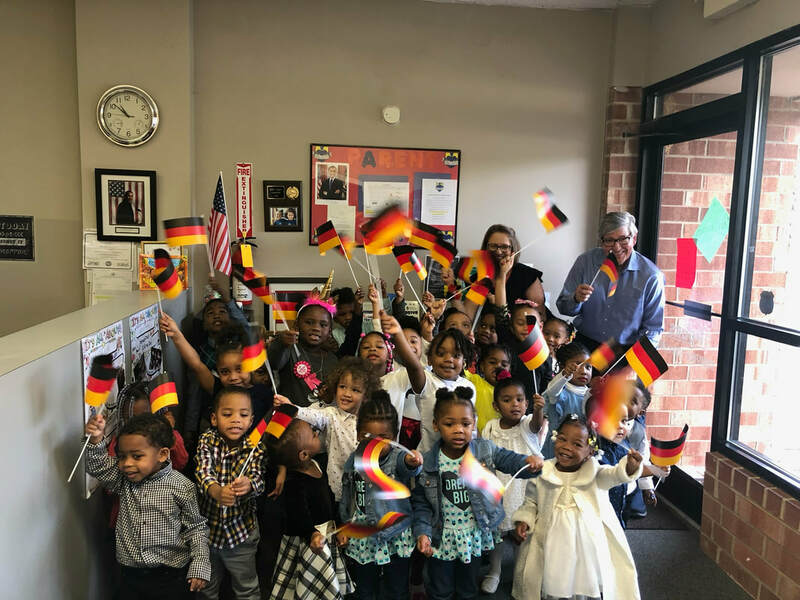 Under the slogan “Wunderbar together”, the year of German-American Friendship 2018/19 (Deutschlandjahr USA) promotes events and exhibitions featuring modern Germany across the United States in the fields of politics, culture, education, science, business, and industry. 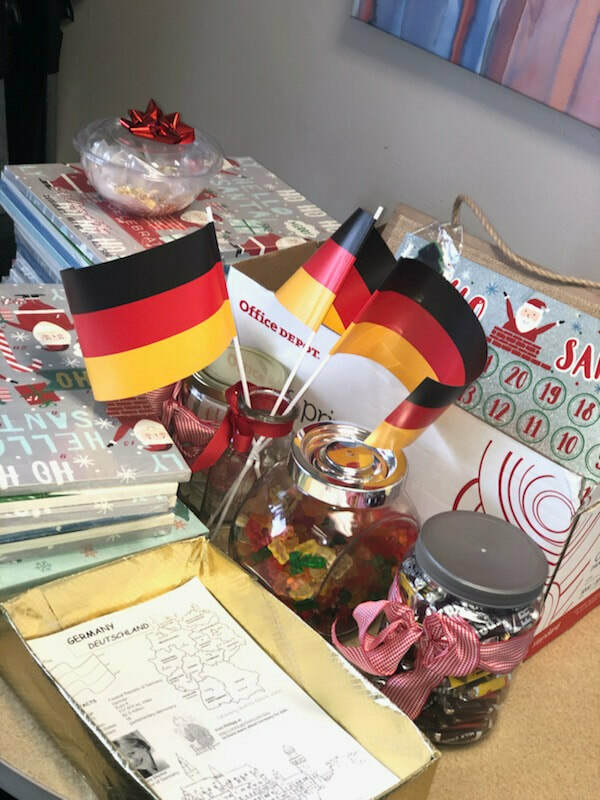 The project is funded by the German Federal Foreign Office, implemented by the Goethe-Institute and supported by the Federation of German Industries (BDI). 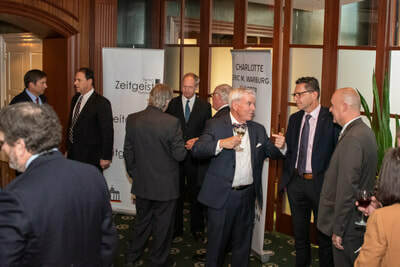 Additional support for TEASE 2018 was provided by International Ceramic Construction, Lufthansa and Kühne + Nagel.